Mexico’s notorious Colima volcano has erupted again, sending a spectacular plume of ash and smoke four kilometers into the air above its crater. Awesome timelapse footage and images of the erupting volcano, considered one of the most active and potentially dangerous in Central America, have been shared online. La explosión del @Volcan_Colima el día de ayer desde el aire. 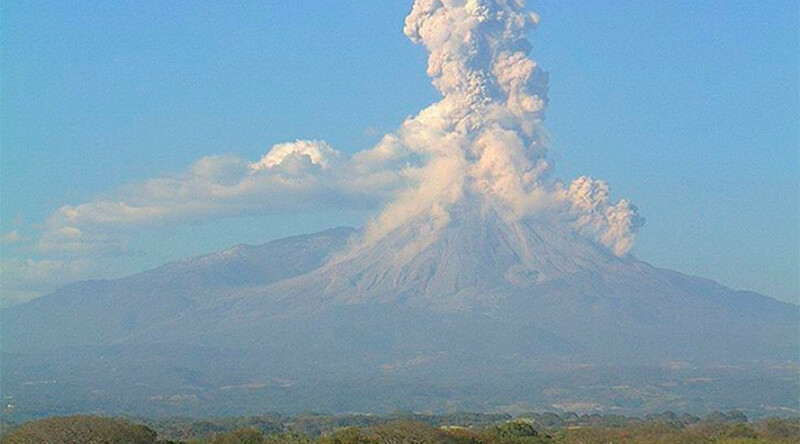 The 12,500-feet volcano in Tuxpan, western Mexico, has increased in eruptive activity since last October, but has been in near constant activity since 1994. The volcano, part of the Colima Volcanic Complex, is situated just 30 kilometers from a residential area that is home to some 300,000 people. Authorities said there was no need for evacuation despite the powerful eruption, but access has been restricted at Colima Volcano National Park. Colima’s activity is now gradually decreasing after Friday’s strong explosion, according to the latest status update from Volcano Discovery. The eruption created an impressive plume of smoke, even taking on the alarming appearance of an “atomic mushroom” cloud, according to some onlookers. It also generated a pyroclastic flow on the eastern side. This volcanic event marks the first significant activity from the volcano since January 26. Last month, an incredible image of the infamous volcano, spewing lava while simultaneously being struck by lightning, was captured by a photographer. Increased activity at the volcano is believed to be as a result of the growth of a new lava dome. This volcano is being permanently monitored by a specialist Colima volcano observatory team installed in University of Colima, Mexico. A webcam is also installed close to the site, allowing every moment of the captivating volcano’s activity to be viewed in real time.